World-renowned singer/songwriter/entertainer Dolly Parton has a worldwide #1 album to celebrate this week. The superstar’s new release Pure & Simple debuts at #1 not only in the U.S., but, also on the national country charts in Canada, U.K. and Australia. Upon hearing the news, Dolly Parton, who co-produced and wrote every song on Pure & Simple, enthused, "Boy, it's a good day for me. I am a happy girl!" She continued, "It feels great to be #1 as it's been a long time and it feels so good to still be in the game after all this time." CTK Management CEO Danny Nozell said, "There is nobody more deserving of this tremendous success. 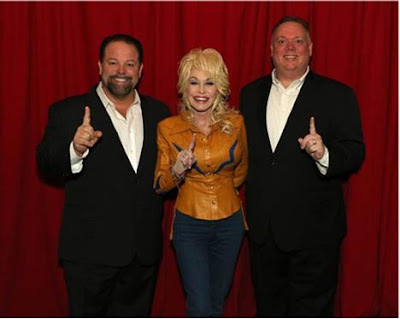 Having worked with Dolly for the past 13 years, I have never met any person that works harder than her.” Nozell added, “She is a businesswoman that understands her brand and knows exactly what to do and when to do it, and once again, she proves it with a #1 album."